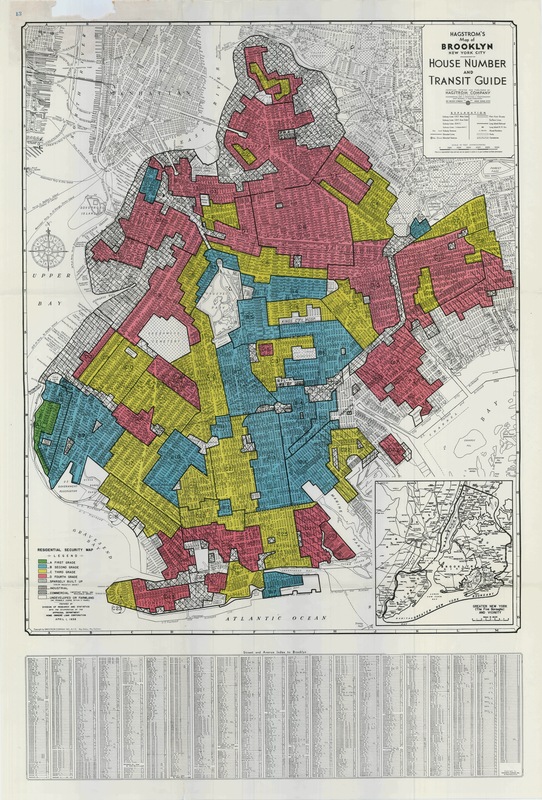 Walis Johnson guided a walk around Crown Heights in Brooklyn discussing the long term effects of the so called redlining, a mapping effort from 1938 in which neighborhoods were graded from First Grade (green color on the map) to Fourth Grade (red color on the map). Mortgage lenders mapped areas based on what they considered to be risky investment areas. The areas they deemed most risky were outlined on the maps in red. 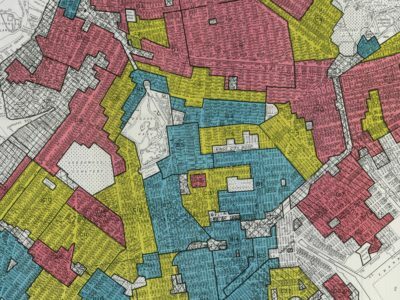 Because of this it was much harder for people to get loans to buy property in poorer areas, black neighborhoods, and areas with large immigrant populations. The grading was racially biased and effected also home prices, migration between neighborhoods and overall development of the areas up until this date. The walking tour started at Nostrand Ave. and went along St. Marks Ave. to Brower Park. At the Park a friend of Walis who has lived in Crown Heights told about the development of the area during the last 16 years. The map below indicates our walk (the red line), which mainly stayed in yellow territory (third grade). In Brooklyn only one small area received first grade, the Bay Ridge area. 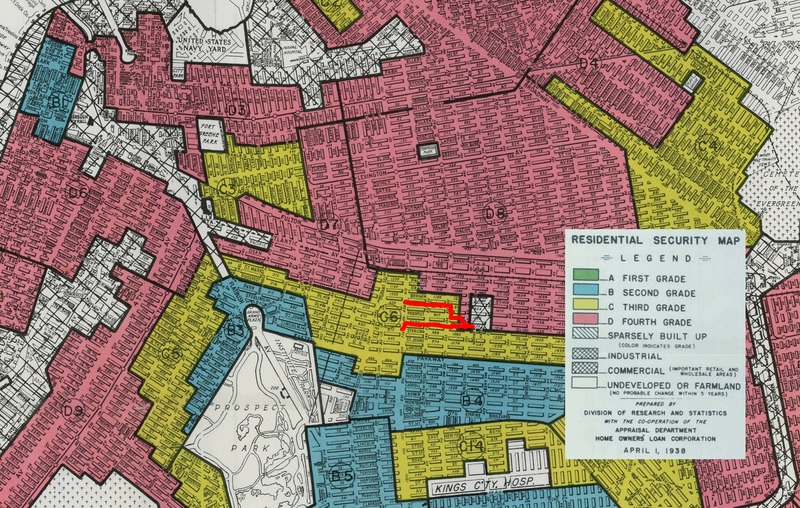 See here the full redlining map of Brooklyn.